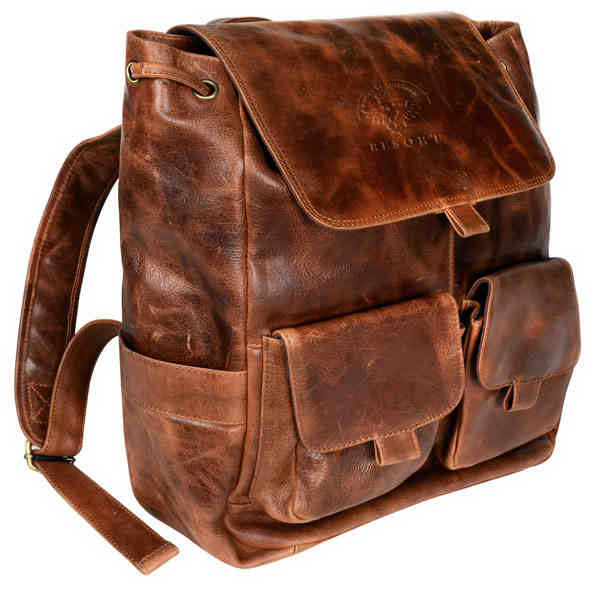 Travel the world wearing our handy Westbridge Leather Rucksack. Made of genuine full grain leather, it has front flap with magnetic snap closure, 2 front pockets with magnetic snap closure and 2 side pockets. There is an interior padded laptop compartment, interior zippered security pocket and 2 slip pockets. Also, an 8" top grip handle and adjustable shoulder straps and non-woven dust cover designed with a drawstring closure to keep out dust and dirt. Size: 13.5 " x 15.5 " x 5.5 "
Price Includes: Up to 6 square inches with a with a minimum point size of 12.